Did you apply for Canadian permanent residency before 2015 and didn’t get a success. Well, the things have changed a lot since then. If you apply now through Express entry and other newly introduced Canadian immigration programs, you may get the different result this time around. Express Entry is the new immigration system of Canada launched by Immigration Refugee and Citizenship Canada in January 2015. Let’s explore more about express entry system to know how it can enhance your chances of obtaining the Canadian visa. Today, express entry system has become one of the most popular immigration programs in the world. It has got some key features that make it better Canada immigration program compared to earlier ones. Take a look. 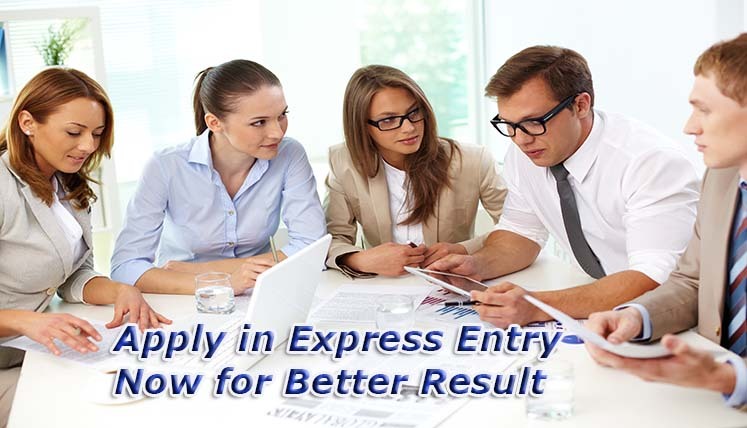 Express Entry is based on a point based system called CRS (Comprehensive Ranking System). As per the CRS, candidates applying for the permanent residency in Canada are judged based on their point scored for key profile factors, i.e. work experience, qualification, age, language ability, etc. The high ranked candidates in the system get the invitation from IRCC to apply for permanent residency in Canada. It is the fastest immigration system of Canada that claims to process the permanent residency visa application within six months if everything is found correct with the application and documents. The earlier immigration programs used to take the huge time for processing the application, i.e. 1 year or even more. Canada has also eased its immigration rules vide express entry system and also reduced the qualifying marks required to obtain the Invitation to apply from IRCC in last few draws. This is the reason that in 2017, IRCC has invited record number of Canada immigration applicants till date. You can see how express entry has transformed the whole Canada immigration process in the last couple of years. All these factors are enough to motivate and encourage any long time Canadian immigration aspirant. Finally, if you are still firm with your intentions and plans to immigrate to Canada and obtain the permanent residency, get in touch with a trusted Canada Immigration and Visa Consultant, get your immigration file ready and apply in the popular express entry system under expert guidance to be second time lucky. Which are the Two Best Countries to Apply for Temporary or Permanent Residence Visa in 2018?